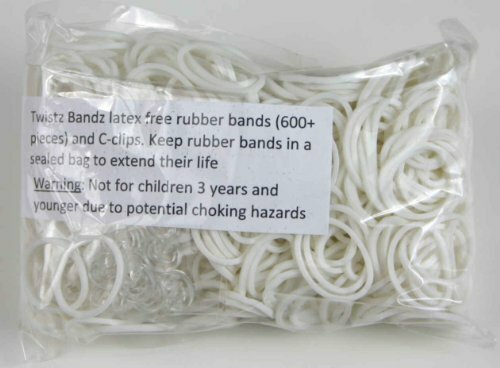 Glow in the Dark Latex free rubber bands for Twistz Bandz kit. Includes: 600+ rubber bands and C-clips. Makes up to 24 rubber band bracelets. Can be mixed with other colors or used to make your very own glow in the dark bracelet!